Click here to read our March 2019 newsletter. 80 for the 81st - Read about our $40K + $40K matching fund drive. A freewill offering fundraiser to support our outreach to hospitals, care centers, and jails - all donations will be matched per the fund drive noted above. Our February gathering - 200 Care Packs were assembled! Thank you to all who donated items and helped us assemble the packs. Click here to find our February 2019 Newsletter. Join us on February 24, 2019 for a celebration of our outreach. We will gather at 1:30pm to hear updates on our outreach ministry. Cake and refreshments will be served. If you have a favorite dessert to share, please do! · Scarves, mittens (or gloves), socks, hand warmers, caps (warm hats), energy bars (granola, protein, snack packs), bottled water, Chapstick®, Kleenex®, & “A Simple Explanation of Christianity” (supplied by LMSN). We hope that we can assemble 100+ care packs. We will have some material pre-purchased, but we also hope that you can help by bringing the items noted above which can be purchased through Good Will, Costco, or the discount store of your choice. Once the kits are assembled, keep one or more in your car with you. When you meet someone at the corner with a cardboard sign, you can give them a care pack to let them know of Jesus’ love. Save the Date for our February gathering. Come and hear updates about our outreach. Also, we will assemble care packs for the homeless. You are invited to bring scarves, mittens (or gloves), socks, hand warmers, caps (warm hats), energy bars (granola, protein, snack packs), bottled water, Chapstick(R), Kleenex(R), & “A Simple Explanation of Christianity (supplied by LMSN). We hope to assemble 100+ care packs. We will have some material pre-purchased, but we also hope that you can help by bringing the items noted above which can be purchased at the discount store of your choice. Once the kits are assembled, keep one or more in you car with you to distribute to the homeless people you see on the street corners, etc. Why do we go to prisons and jails? Above – Margaret Ebert with one of the many blankets she has made for use in care centers! Thank you! Our December Newsletter is Here! Click here to find our December 2019! “Thank you” from Chp. Kirk Van Natta of the Special Commitment Center on McNeil Island for the clothes that have been donated as part of our clothing drive. Chp. Van Natta lets us know how they have been a blessing to the men in that facility. Click here to find our November 2018 Newsletter. A Thanksgiving message from our Executive Director. Reuben Comfort Dog from Yuba City, CA visited our area and went to a local care center with Dcs. Ruth Ann Shimoi. As of this publication, Reuben and his handlers have been deployed to support those who have been affected by the recent wildfires in CA. We have started a “Go Fund Me” campaign to support a professional chaplain (Clergy) to spearhead our prison ministry. Click here to find our page. Click here to find our October 2018 newsletter. 500+1 - Can you believe that it has been a year since NW Reformation 500? “A Dog Walks into a Nursing Home” - Dcs. Ruth Ann Shimoi who directs our care center outreach highlights a book that affirms our desire to employ Pilgrim Lutheran Church’s LCC Comfort Dog in our ministry at area care centers. 200+ articles of clothing delivered & more on the way! On behalf of Chp. Kirk Van Natta and Mr. Don Sundene, we extend our appreciation to all who have helped with this clothing drive - in conjunction with our jail / prison ministry. Read the article to find out more. 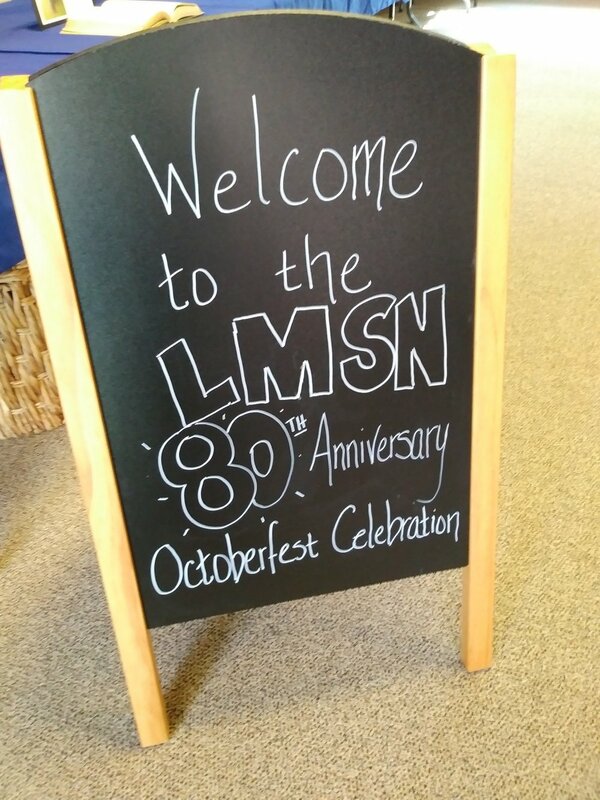 80th Anniversary Celebration & Oktoberfest 2018 - We had a blast! Thank you to Pr. Rehder and Pilgrim Lutheran Church (our hosts), Mach One Jazz Orchestra, and everyone who helped! Some pictures from our Gathering at Pilgrim Lutheran Church are below. See our Facebook(TM) page fore more. Our September 2018 Newsletter is Here. Click here to find our September 2018 newsletter. Pictured here are some silent auction items. Note that we have some unique collectors items! Original autographed Snoopy Sketch by Charles Schulz. Seahawks Legends Helmet - signed by Russell Wilson, Richard Sherman, Marshawn Lynch, Matt Hassellback, Cortez Kennedy, Shaun Alexander, Steve Largent, Dave Kreig, Kam Chancellor, and Kenny Easley. Condo in Cabo San Lucas - Stay for a week at a fine resort per mutually-agreed dates with the condo’s owner (pictures to come). Condo in Whistler, BC - Stay at a condo in Whistler per mutually agreed dates with the condo’s owner (pictures to come). Hand-made baby blanket (picture to come). Our August Newsletter is Here. Click here to read our August Newsletter. LMSN Sunday Celebration at Pilgrim Lutheran Church in thanksgiving for Pr. Werzner's 17 years of ministry with LMSN and Pilgrim. Pictured here are the cookies with LMSN's 80th anniversary logo (thank you Mrs. Laurie Clark! ), LMSN's banner, a blessing of Chp. Werzner by Pr. Jim Rehder of Pilgrim Lutheran Church in celebration of Chp. Werzner's ministry, a blessing of Don Sundene by Pr. Jim Rehder in recognition of Don's service as Coordinator for Prison Ministry, Chp. Werzner wearing the stole created by Mrs. Laurie Clark to honor LMSN's 80th anniversary, a closeup of the stole, and various other pictures. Thank you to all who helped! LMSN's Care Center volunteers met at Messiah Lutheran Church. 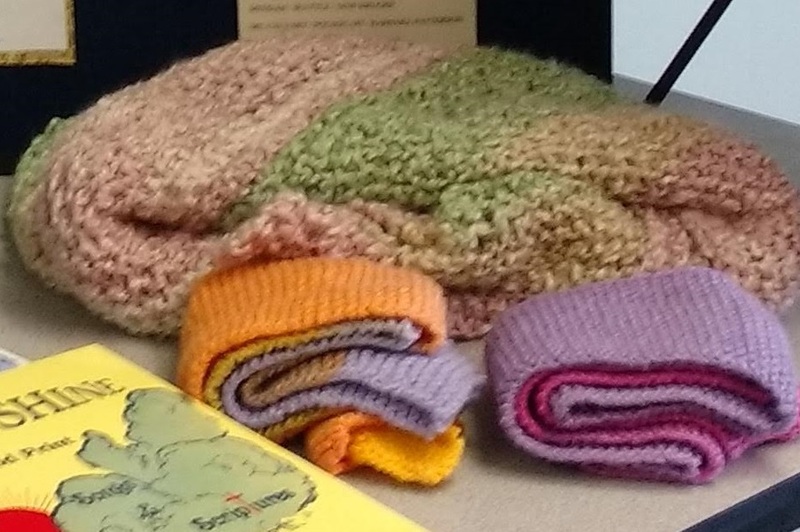 See the newsletter for our "drive" to get materials to make clothing protectors, scarves, lap robes and other items to bless others in our outreach. Click here to find a copy of our July newsletter. 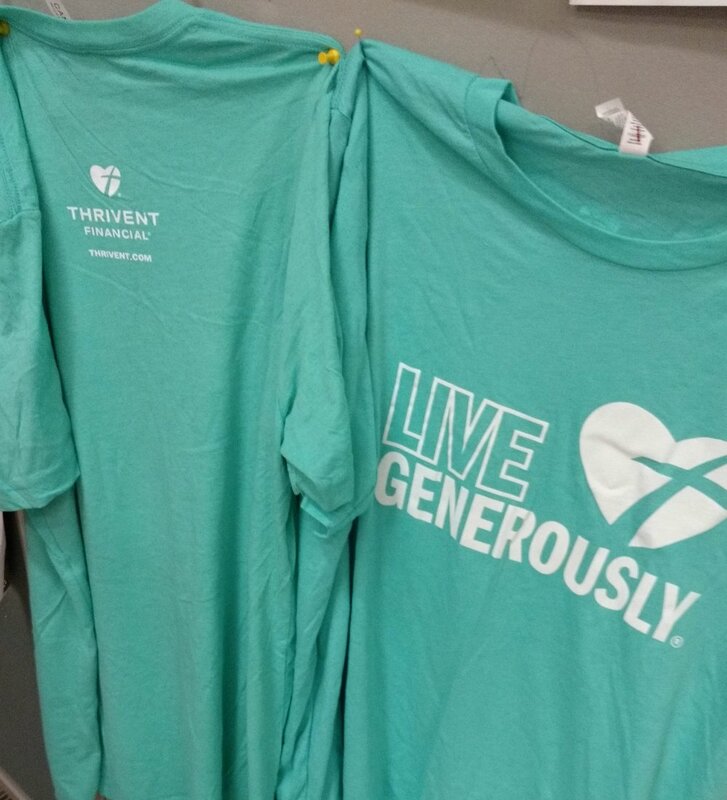 Discover ways that volunteers are helping our outreach by creating clothing protectors, lap robes, and scarves as well as greeting cards that are being used in our care center and jail ministry. Request for supplies - we would like to collect new or gently used bath towels (dark colors or patterns), and other materials to make lap robes. Bring them to your church and let us know that they are there. We will arrange for pickup. Can you help make the items? Get in touch with us. Email us lms@lmsnw.org or call us 206-450-7128. We can send you patterns, etc. Thank you to everyone who is taking part in this ministry already! Prison Ministry Highlights - Learn about the 6 baptisms done by Rev. Corbie Cross at a correctional institution in Kenai, AK. Click here to find out June newsletter. In this issue - Our own Executive Director, Don Sundene, was a "Mites in Action" speaker at the LWML convention in Spokane, WA. Here is the video of Marie Sundene, a charter member of her church's LWML society, singing "Good Morning Lord" at 102 years of age. Marie went to be with our Lord, a few hours short of her 105th birthday. Click here for our latest publication. Click here to find the April 2018 LMSN newsletter. Upcoming Events & "80 for the 80th"
Click here to read our March 2018 newsletter. Deaconess Ruth Ann Shimoi has agreed to join our team once again to help our "Adopt a Care Center" initiative. See the newsletter for more! Learn about our "80 for the 80th" campaign. Meet Pr. Jim Rehder - one of three pastoral advisors to LMSN. 1. Our Annual Meeting on Sunday, Feb. 18, 2018. Our January 2018 Newsletter is Here! Click here to find our January 2018 newsletter. Focus on our Advisory Team - Meet Pr. Ernie Lassman who along with Rev. Jim Rehder and Rev. Paul Winterstein offer invaluable direction and guidance for our ministry. Dr. Tom Stoll, M.D., Program Director for the Kaiser Permanente WA Orthopedic Group & Chief of Staff at Overlake Medical Center. Dr. Stoll will offer a presentation on musculoskeletal health. In this issue - Our thanks to the community & highlights from NW Reformation 500. Enjoy these photos. A video of the service is being edited. Once everything is in order, we will have them available. "Stay tuned." Blessings to you and yours this Thanksgiving! You can give to LMSN via text message. It is simple. TEXT 206-203-1210 and include the amount you want to give (without the dollar sign) in the message of the text. $3.00 minimum. You will get a message back with a link - follow the instructions to process your gift. We are pleased to announce that you are now able to make donations to LMSN via the Give+ Mobile app. Look for this free downloadable app through your phone's App Store. See this PDF document for an overview of the Give+ Mobile app from Vanco®. Click here to view our October 2017 newsletter. When you enter the parking lot, you will have to drive about 2/5 of a mile to reach the front entrance of the church building. See the map below of perspective and note the location of the worship center.